E Ink Color ePaper for digital signage. You're Here: Home / Blog / Digital Signage / E Ink Announces Advanced Color ePaper for Digital Signage. 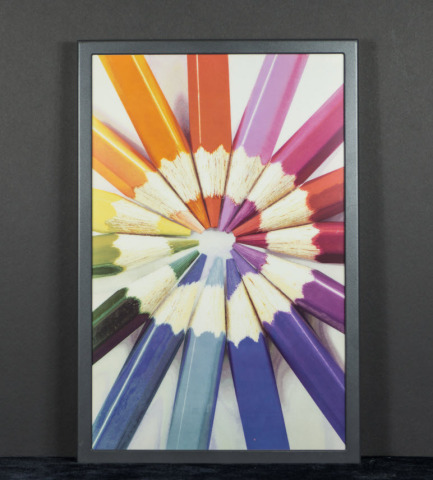 E Ink Announces Advanced Color ePaper for Digital Signage. E-Ink have finally announced what looks like a potential game changer in the world of Retail digital signage. Called Advanced Color ePaper (ACeP), it’s a big leap above the company’s aging Triton tech, which could only display around 4,000 colors. Basically, it’ll be clear enough to be practically indistinguishable from color printed onto real paper, and E Ink are positioning it for in-store signage as 20-inch panels. This could be huge for Point Of Sale digital signage where video is not normally shown simply because of the very short dwell times. SAN FRANCISCO–(BUSINESS WIRE)–E Ink® Holdings, “E Ink” (8069.TWO), the leading innovator of electronic ink technology in the world, today announced a breakthrough technology with its Advanced Color ePaper (ACeP), a high quality, full color reflective display. For the first time ever, an electrophoretic display (EPD) can produce full color at every pixel without the use of a color filter array (CFA). ACeP sets a new standard for bright, reflective color achievable with EPDs. The initial target application for ACeP will be for digital signage. ACeP achieves a full color gamut, including all eight primary colors, using only colored pigments. The display utilizes a single layer of electrophoretic fluid, which is controlled using voltages compatible with commercial TFT backplanes. The fluid can be incorporated into either microcapsule or Microcup® structures. The richness of the colors is achieved by having all the colored pigments in every picture element (pixel) rather than the side-by-side pixel colors achieved with a CFA. This eliminates the light attenuation, which can be quite significant. Like regular E Ink ePaper, ACeP maintains the ultra-low-power and paper-like readability under all lighting conditions. Multiple 20” displays with a resolution of 1600 X 2500 at 150 ppi have been constructed. ACeP will be on display during SID’s Display Week at E Ink’s booth (#521) at the Moscone Conference Center from Tuesday, May 24 through Thursday, May 26. Founded in 1992 by Taiwan’s leading papermaking and printing group YFY (1907.TW), E Ink Holdings Inc. (8069.TWO), based on technology from MIT’s Media Lab, has transformed and defined the eReader market with its ePaper technology, enabling a new multi-billion market in less than 10 years. Its corporate philosophy aims to deliver revolutionary products, user experiences, and environmental benefits through advanced technology development. This vision has led to its continuous investments in the field of ePaper displays as well as expanding the use of its technologies into a number of other markets and applications. Its EPD products make it the worldwide leader for ePaper. Its FFS technologies are a standard for high end consumer electronic products. Listed in Taiwan’s GreTai Securities Market and the Luxembourg market, E Ink Holdings is now the world’s largest supplier of displays to the eReader market. For corporate information, please visit www.einkgroup.com ; for EPD information, please visit www.eink.com / tw.eink.com. This could be very exciting for all digital signage applications that do not need full motion video, and there are a lot of those. This entry was posted in Digital Signage, Hardware, Marketing and Advertising, Retail and tagged #avtweeps, #digitalsignage, #proav, digital signage, digital signage advertising, Digital signage retail by hsmith. Bookmark the permalink.